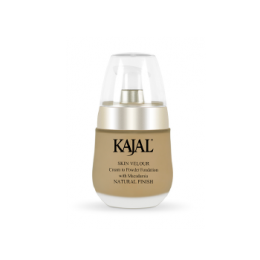 Kajal’s cream to powder formulation foundation with a very special and transparent effect on your skin. Kajal’s velvety & cashmere texture effect finishing, good coverage formulation foundation. Kajal’ s longlastin formulation foundation for those who want a longer coverage and base on their skin. Kajal’s ideal foundation formulation for best skin tone balancing with liquidified mousse texture. 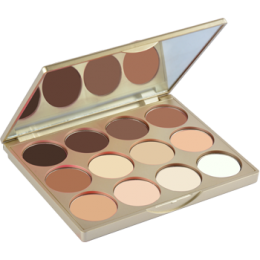 Kajal’s 12 Tones Creamy Texture Foundation Palette is mainly the choice of professionals in Scene Make Up environment. 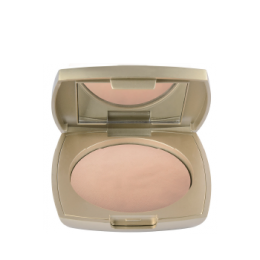 Its range of tones from the darkets to the lightest allow the make up artist to either mix the tones for the ideal shade or allows the make up artist to apply the product to all ladies no matter what their skin tone is. 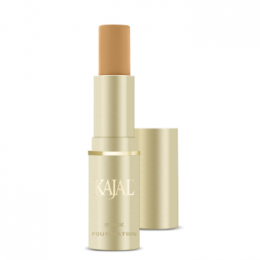 Kajal Stick Foundation is the stick form of concealer on face make up. It has a matte finishing effect to fit to your face make up. Its stick form gives you the control which a sponge or a puff can’t provide you. Kajal Compact Foundation, as known as Pat-a Cream Foundation, has a great coverage property, light feeling on your skin and ideal tone alternatives which are best for your choice.